We’ve come to expect that the past is terrible. 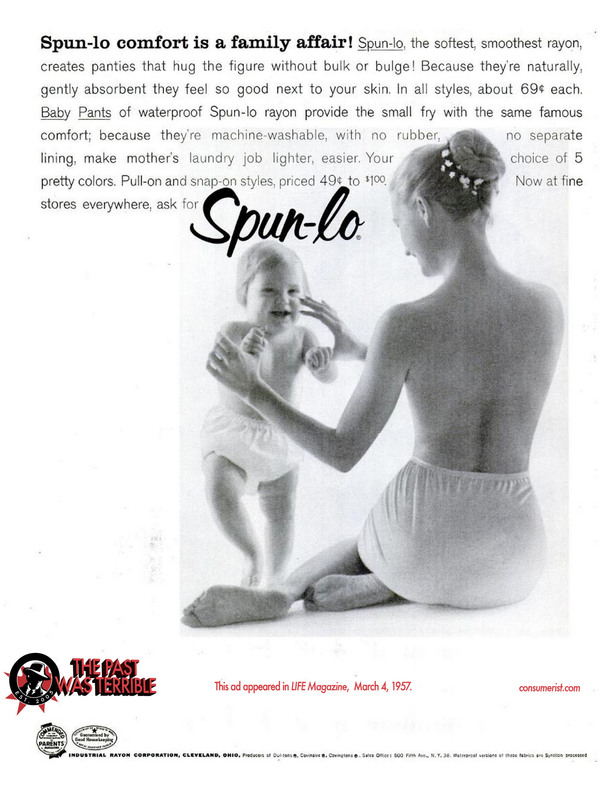 Well, rather, it was terrible, and now it’s just fun to look back and chuckle over how companies wanted us to wear high-waisted diapers alongside our children and use soap not for hygiene, but to ensnare unwitting men. 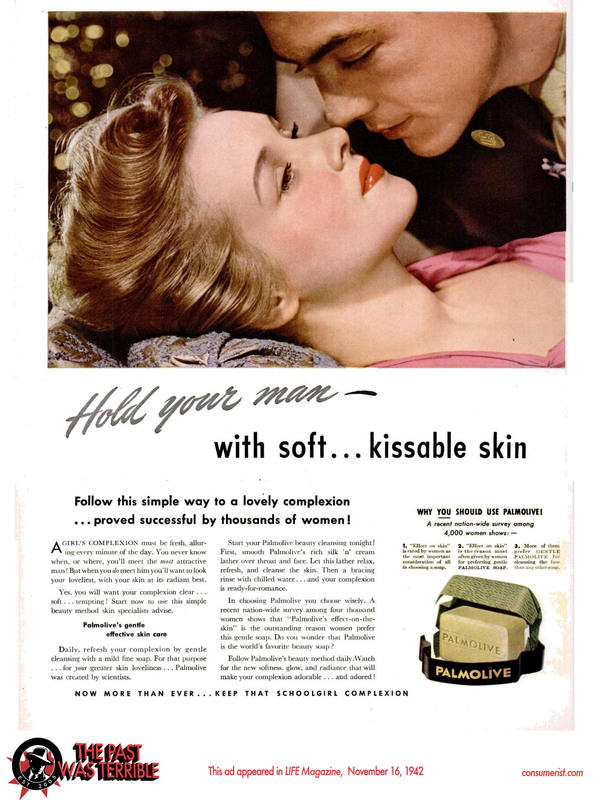 In this installment of Badvertising History Lessons, our stalwart witty minds at-large chime in on Palmolive’s tips on how to make men just want to kiss all up on your soft, soapy face, new fashions for busy moms and IBM’s investment in making any secretary’s boss proud for her work. Palmolive: Helping pedophiles have a bigger selection of schoolgirl prey since 1942. Give me a break. He’s not in it for your skin. He’s in it for your money. I believe the claims made by this miracle soap. Why, I’ve never seen a corpse with such radiant, glowing skin! Tragic that she died so young, though. I missed the memo on needing to be fresh and alluring EVERY MINUTE OF THE DAY. No one tell my fiancé. Are they both wearing diapers? Well, I suppose it’s better than matching mom-and-baby thongs. HOLD. UP. Ladies — apparently we can have it all. If women’s lib played a part in in killing this idea, call me a feminist. 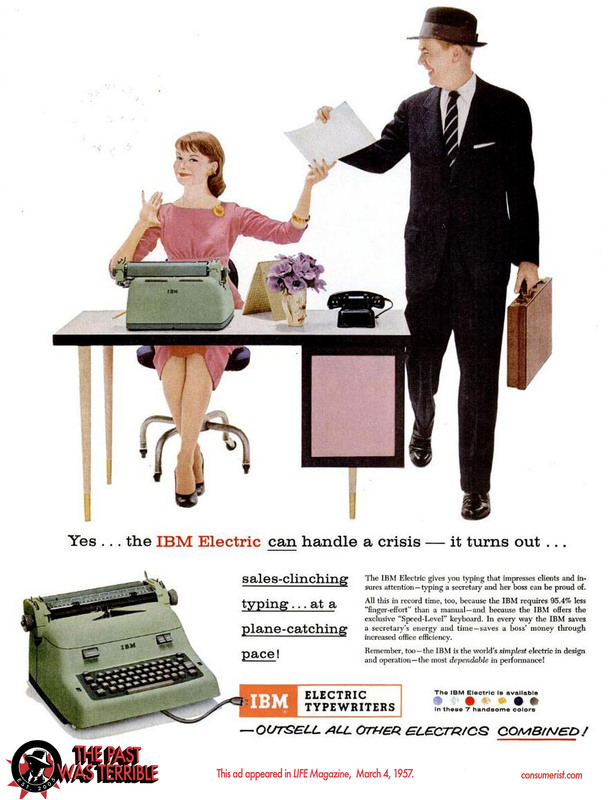 Fast-forward 57 years to 2014, when faster typing leads not to increased efficiency but to vaster quantities of mindless Internet surfing.